Lawyer, actress and mum-of-four Tasmina Ahmed-Sheikh bids to be the first Scottish Asian member of the European Parliament. Striding through the STV studios in a glamorous whirlwind of leopard print heels and Louis Vuitton, Tasmina Ahmed-Sheikh is beaming, bubbly and a little breathless. It’s no wonder – she’s a mum-of-four, a lawyer, a Bollywood actress, the chair of the Scottish Asian Women’s Association, the Scottish National Party’s women’s officer and, now, a candidate in the European Parliament elections. The south side powerhouse is in the running to become Scotland’s first Asian MEP after being chosen as one of the SNP’s six contenders in the 2014 vote. But between practising law and attending parents' nights, empowering women and hitting the red carpet, when will she have the time to do battle in Brussels? Tasmina tucks a tendril of her dark, curly hair behind her ear and leans forward, radiating enthusiasm and a zest for life, to tell me that balancing many duties is nothing new to her. The determined mother had her first child just days after her law graduation ceremony and her last, 12 years later, just hours after a partners' lunch at her firm. She says: “As all women are, I’m used to juggling so many things. “I suppose I’ve become a bit of an expert at it - I’ve got a very get-up-and-go attitude. 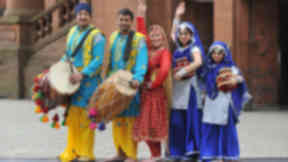 And, for Tasmina, she has now ticked the career, children and charity boxes on her to-do list which leaves her with the altruistic notion to represent women, the Asian community and Glasgow on the European stage. “For me, it is all about public service – I have reached that point in my life,” she explains. “I really wanted the opportunity to give something back and I would like to be one of the willing participants in Europe. “I believe very strongly that independence is the way forward for this country. At this particularly important time in our history - and particularly given the relationship I’m sure we’ll enjoy with Europe as an independent nation - it is a very important time to be involved in European politics for the benefit of Scotland. Tasmina credits the trailblazers who came before her: the first ever British Muslim MP Mohammad Sarwar, deputy leader of the Scottish Labour Party Anas Sarwar, minister in the Scottish Parliament Humza Yousaf and even her own father, Mohammed Rizvi, who became the first Asian regional councillor in the UK representing Edinburgh from 1986 to 1994. She says: “So I suppose we have people in all of the other places except from the European Parliament. But, for many, the European Parliament may feel rather far away. At the last elections in 2009 only 34.7% of British voters turned out. To some Scots, it's nothing more than a distant institution in which decisions are made that don’t directly affect their everyday lives. Can an MEP fight against the closure of a primary school or get your bins collected more often? Articulate as ever, Tasmina is quick to explain the role of an elected member. She says: “One of the main things I would like to do is bring Europe home to the people of Scotland. And provide the information necessary so they can see the benefits of it and feed into it as much as they possibly can. 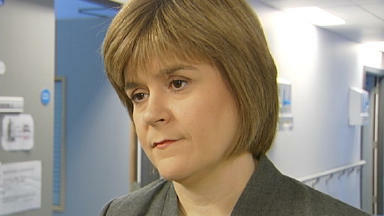 “I feel it is important to make Europe relevant to the people of Scotland. “If you look at Europe’s regulations and the impact that they have on our daily lives – it is massive. “Most people think it is just about fishing and agriculture, but there are women and gender equality issues, child protection, pension alignment, infant milk, the European arrest warrant – many things affect our lives on a daily basis. Tasmina knows a thing or two about diversity having been born in London to an Indian father and a half-Welsh, half-Czech mother, and then brought up in Edinburgh. She thinks her own rich cultural tapestry is now becoming reflected in the fabric of Scotland. “We’re creating avenues and opportunities as we continue to become more involved in Scottish society,” Tasmina explains. “Curry is like Scotland’s national dish and we’ve adopted Irn-Bru. “I was asked recently why the first generation who came to over here didn’t go back and I said it was because they were welcomed here, they integrated well and they were accepted. So proud is Tasmina of the achievements of her community she has set up the Scottish Asian Women’s Association to celebrate their accomplishments. 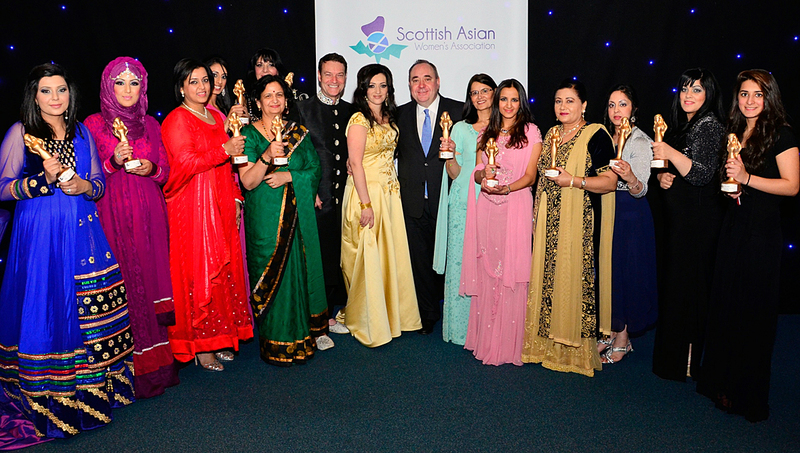 Tasmina with the winners of the Scottish Asian Women’s Association awards with First Minister Alex Salmond. 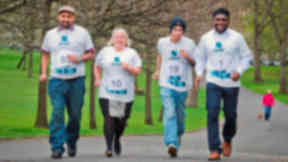 She says: “I’d been thinking about how to bring women across the Asian community together for some time. “These women have achieved very well and can help other women coming through who may not have had the life opportunities that we’ve had or may have come from abroad via marriage and don’t know about all the help that exists if they need it. From throwing all female parties at The Corinthian Club and organising seminars on the still somewhat taboo subject of breast cancer to throwing mixed gender award bashes, Tasmina is pushing the envelope of what is culturally acceptable in the Asian community. Eyes shining with passion, Tasmina goes on to tell stories of some of the remarkable women she has met along the way. “If I thought I was inspired before, I am doubly inspired now,” she reasons. “There is everything from Asian female planners, doctors, dentists, a puppeteer who does a show about cancer, the first Asian woman DJ – that is just a very small insight into the kind of women in the community. As the national women’s officer for the SNP, Tasmina is keen to move women from “back office roles to the frontline”. She says: “This country has a lot to look forward to if they can move women to the forefront. I think political parties need women more than women need political parties. So, does Tasmina think women will visit the polling station to choose her? Showing the first signs of shyness during our chat, she modestly won’t be drawn on her chances. For more on Tasmina, visit her website or for more on the Scottish Women’s Association click here.